Lemon (Citrus limon): growing, planting, caring. When life hands you lemon seeds...grow some lemons! The lemon is either cultivated in a pot, or, if you have the good fortune of residing in a Mediterranean climate, the ground. Raising lemons in the north via container, you'll manage to turn up some limes, though better to have access to a veranda or cold greenhouse. Lemon, Citrus x limon, is a type of small tree in the Rutaceae family cultivated in Mediterranean and subtropical regions for its fruit. 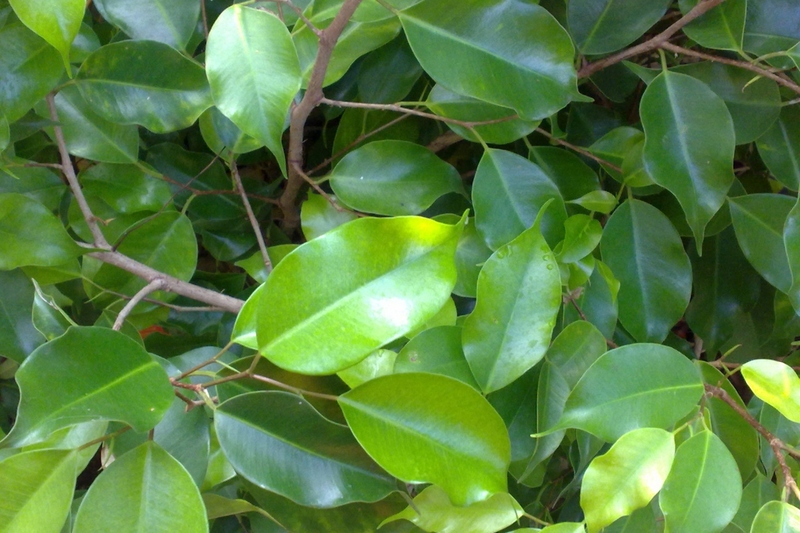 It's an evergreen tree with spear-shaped oblong leaves with neatly articulated limbs with unwinged petioles. It can live for about 80 years! In order to keep it in temperate regions, in winter, it must be brought into a cold greenhouse, meaning into a sunny place where the temperature is about 8 to 12°C! It's too hot inside our heated homes, so this isn't ideal for it. 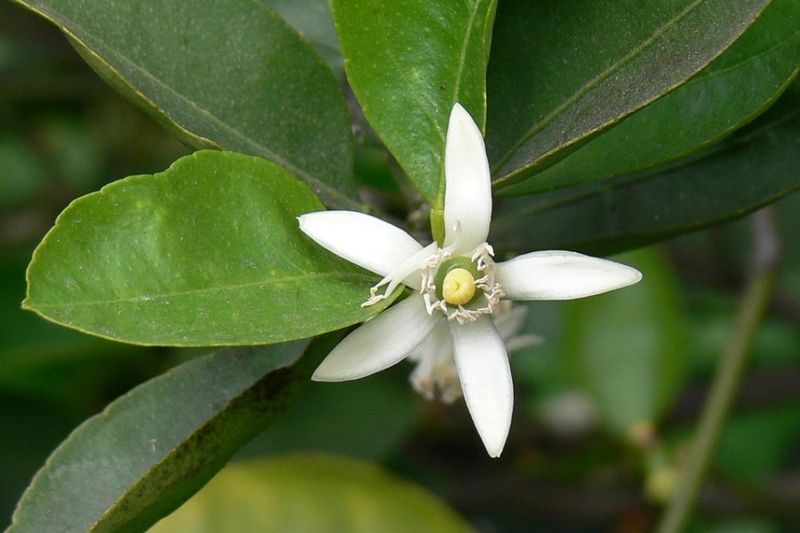 Plant your lemon tree in a pot, except in a really mild climate. Choose a large container, preferably made of terracotta with a hole at the bottom to ensure water drainage. Place a thick layer (about 20% of the pot's volume) of gravel or clay pebbles at the bottom of the pot. Make a mixture of good manure, potting soil, compost, and medium grained river sand. Spread a layer of this mixture at the bottom of the post and place your lemon so that the end of the stem slightly exceeds the pot's top as it should never be buried. Fill the empty space with the mixture and tamp it around the plant. Water generously to eliminate any possible air bubbles in the soil. Add more mixture on top if necessary. In open soil, plant the lemon in direct sunlight, sheltered from wind, ideally next to a wall, in light slightly acidic well drained soil. However, never try to cultivate the plant inside an apartment. It cannot handle the heat. Did you know this? The lemon has a way to tell you that it's thirsty. Leaves pointed upward signify that it doesn't have enough water. On the other hand, leaves pointed downward means that there's an excess of water! That said, during good weather, an outside potted lemon is subject to a high level of evaporation: it therefore must be watered very regularly during this season for optimal growth. The mixture should never completely dry between two watering in summer, but water should never stagnate in the container. In winter, water even more steadily as long as the tree is bearing fruit — after, you can reduce to just once a month, leaving the substrate slightly dry between two waterings. A potted lemon needs regular provisions to stay in shape! Repot in spring about every 2 to 3 years by changing the substrate as much as possible to a potting soil specially for citrus fruit or planting. Ensure that the bottom of the pot has a hole - add some gravel to the bottom for drainage. Starting in autumn, bring in the pots. Have your potted lemon spend winter in a bright frost-free spot: the ideal temperature is between 8 and 12°C - definitely not in your living room or else resign yourself to living in these temperatures. During winter, keep watering your tree as long as it is still bearing fruit, then you can space out the watering, letting the substrate dry slightly between them. Take your potted lemon back outside starting in May. Find it a nice spot in direct sunlight but sheltered from wind, which dries out its leaves. 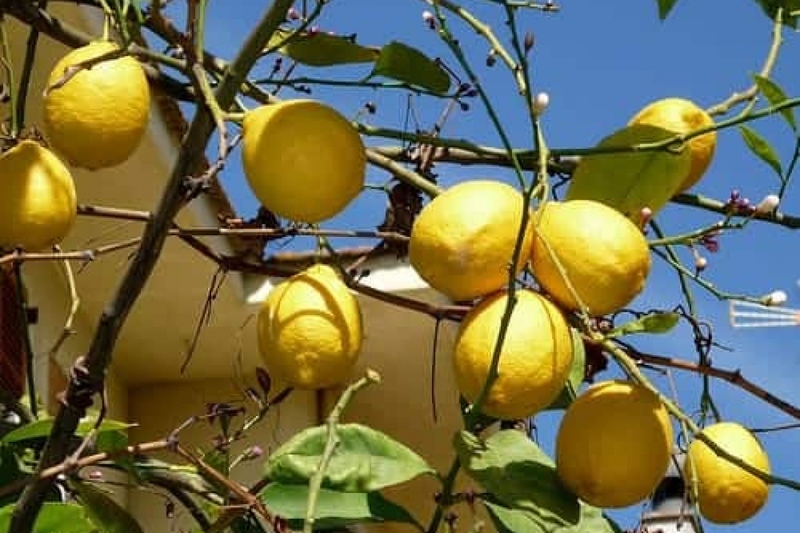 If your lemon is planted in open soil, but you fear a possible frost, don't hesitate to cover its base with a good layer of dead leaves for the harshest weeks. Also wrap the stem in a thick mat (woven bulrush, cane, rye or rice straw...), held by ties. You can also cover the foliage with a wintering cover. The lemon's love of water accelerates soil leaching: therefore, it really must be fertilized — especially for potted lemons! For a plentiful harvest, regularly provide a fertilizer rich in nitrogen and lye — you can find fertilizers appropriate for citrus fruit in stores or try with a compost. In winter, reduce the provisions to once a month. In spring, start back up with a frequency of once every two weeks. Trim your lemon to encourage more offshoots for a more compact and less spread out habit. For the first years, cut each new stem once the growth is finished — the new leaves will be darker and tougher — leaving it at a length of 20 cm. The lemon is pruned once a month from May to September until the lemon has taken its shape. Thereafter, only one pruning per year is necessary at the end of winter. Remove dead or diseased branches as well as those that overlap to open up the plant and let light in. Watch over your lemon in winter: if the leaves darken, it's a cold spell, and if they lighten, it's a lack of fertilizer! The lemon can also have other troubles: Aphids are seen with the naked eye under the leaves near the veins. Spray the leaves with soapy water or a mixture of water and olive oil which will additionally nourish your plant. Scale insects enclose themselves in a brown shell or under a white coating on the back of the leaf against the main vein and excretes honeydew which will attract fungi. Is the lemon's foliage faded? Its green is becoming a silver gray? Small spider webs are forming at the ends of the leaves? Your lemon has been attacked by red spiders. Between the scale insects and red spiders, you can moisten the foliage as a precaution several times a week with soften and unbleached water. Native to tropical regions where the rainfall reaches up to 2,000mm a year, lemons love well drained cool soil. Their roots are mostly superficial, and they don't like the presence of weeds or other plants that compete with them. Mulch to avoid having to weed and to keep the roots cool! Pine needles are perfect for this.